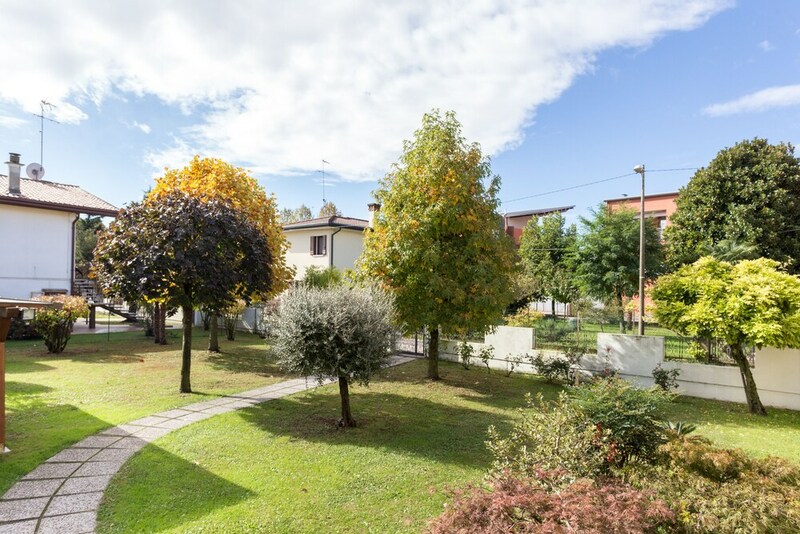 With a stay at this apartment in Mestre (Favaro Veneto), you'll be within a 15-minute drive of Forte Bazzera and Ca' Noghera Casino of Venice. This apartment is 6.9 mi (11.2 km) from Port of Venice and 7.2 mi (11.5 km) from Piazzale Roma. Make yourself comfortable in this air-conditioned apartment, featuring a kitchen with a refrigerator and an oven. There's a private balcony. An LCD television with digital programming provides entertainment, while complimentary wireless Internet access keeps you connected. Conveniences include a desk and a coffee/tea maker, and housekeeping is provided once per stay. A tax is imposed by the city: EUR 1.70 per person, per night for adults; EUR 0.90 per night for guests aged 10-16 years old.